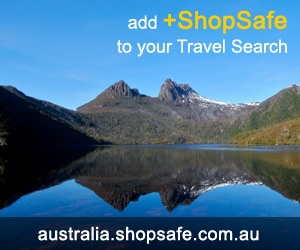 There are 51 shops in the ShopSafe USA Electrical Stores Shopping Category. Shop online for a diverse range of electrical products for the home and office including hepa ionic air purifiers, VHF and UHF walkie talkies, wireless security cctv cameras, camera back packs and bags, metal detectors, hand held meters, photo studio equipment, alcohol detectors and beauty appliances. Canon is a provider of consumer, business-to-business, and industrial digital imaging solutions. Products include: Powershot & EOS SLR Digital Cameras, Pixma Photo Printers, Vixia High Definition Camcorders and much more. Geeks.com is an electronic retail site specializing in computer-related excess inventory, manufacturer-closeouts, high-demand and unusual computer components, peripherals, and consumer electronics at highly-discounted prices to tech-savvy, "Geeky" consumers. Skinit.com provides customers with the ultimate personalization on-demand skin, cover & case products. Create your own fashion, sports, and photo skins and cover popular devices such as: Cell Phones, iPods, MP3 players, iPads, Laptops, Tablets, Gaming Devices and more. Krups Online Store is the Official online store for Krups countertop appliances and accessories. Discover the Krups range of espresso makers, coffee machines, toasters, kettles, blenders, sandwich makers and much more. ShopCasio.com is the Official online store for Casio products. ShopCasio.com carries Casio watches, digital cameras, musical instruments, calculators, projectors, label makers, cash registers, and small electronic accessories. Newegg.com offers a full range of IT components to consumer electronics. They sell over 60,000 products including computer hardware and software, cell phones, digital cameras, gaming products, home appliances and much more. Solid Signal provides a wide range of consumer electronics as well as a customer support team that answers technical questions. Products include HDTV antennas, satellite equipment, cellular gear and accessories, video security, Sirius satellite radios, LCD televisions, GPS navigation systems, cable and wire supplies, installation tools and professional supplies. All else failed? Let us help. If you want to see more Electrical Stores here, please e-mail electrical_goods@shopsafe.cc. Please do not change the subject line of your email. If the subject line does not contain "Add to ShopSafe Online Shopping" it will not be read.